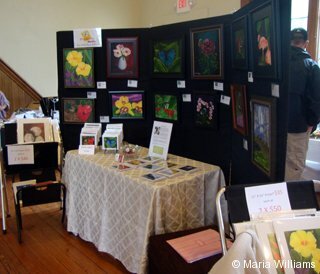 I exhibited a selection of original artwork including my recent works featuring butterflies and tropical flowers. 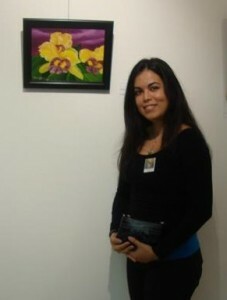 I also exhibited a various seascapes, landscapes and animal paintings. Although it was a rainy morning, arts and craft lovers still came by to appreciate the artist’s work and support the local artist community. This fair was to benefit the restoration and preservation of the Upper Village Hall which was Derry’s first town hall and was established in 1875. Thank you to all who visited my exhibit, for the kind words and for the support!